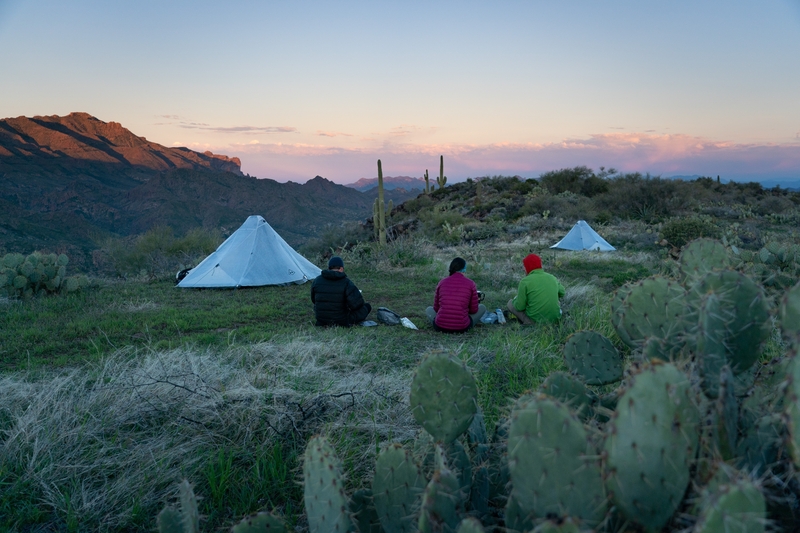 “Ultralight shouldn’t be a category, it should be the way people set up their backpacking kits.” So says Mike St. Pierre, founder and CEO of Hyperlite Mountain Gear (HMG), as he sets out the gear for our next few days in Arizona’s Superstition Wilderness. Ultralight as an accessible mainstay is one of the main concepts that drives HMG’s design and development. Lightweight, durable gear is becoming more the norm than ever before, but HMG is working to make it more of a consistent mind-set in the backpacking community. 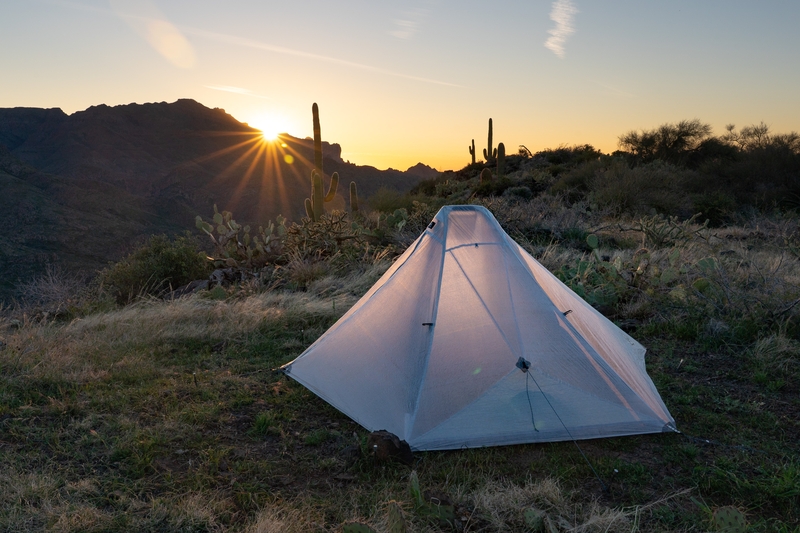 The Dirigo 2 is their latest foray into making ultralight kits more user-friendly and closely aligned with what people expect from a backpacking shelter: ie, sturdy and secure, easy to set up, fully enclosed, spacious, and lightweight. Here’s an overview of this badass new shelter and our thoughts after the test trip. Shelter type: Two-person tarp tent. Requires two trekking poles and minimum four stakes. Sets up fully with eight stakes. Materials: Dyneema Composite Fiber (DCF11 on the floor, DCF8 for the walls / vestibule). No-see-um mesh for the tent doors. Two doors / vestibules: Simple, easy to pitch. I somehow haven’t managed to snag the zipper yet, which is A) rare and B) nice. This is a single unit, which means the fly and tent body are one piece. Bathtub floor: DCF floor material comes up about six inches for protection and waterproofing from the ground. Reinforced trekking pole pocket: Sturdy plastic to ensure trekking poles don’t bust through the top of the shelter after extended use. Pictured above. Carbon-fiber ridge bar: Operates like the spreader bar across the top of a standard semi-freestanding tent, providing stability and increased head space. Interior pocket: One, hanging from the ridge bar. I stick earplugs and my headlamp in there. Sidewall guy-out: Both sidewalls can be tensioned out for more interior space. Made in the US: All HMG products are built on location in Biddeford, ME. 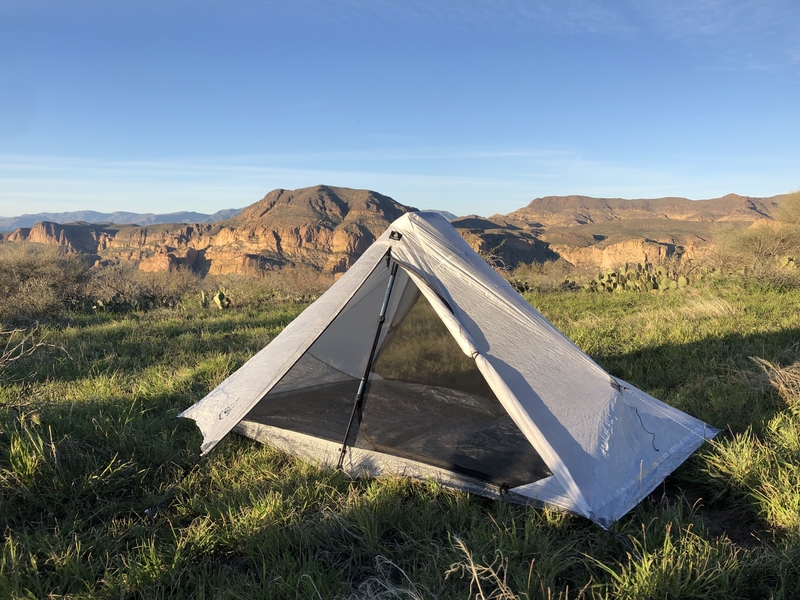 With the Dirigo 2, HMG is looking to bridge the gap between hikers already initiated into the ultralight mind-set and those taking a first foray into a backpacking setup. With a sturdy, all-in-one piece of gear that doesn’t require a steep learning curve, the Dirigo 2 could be that shelter. 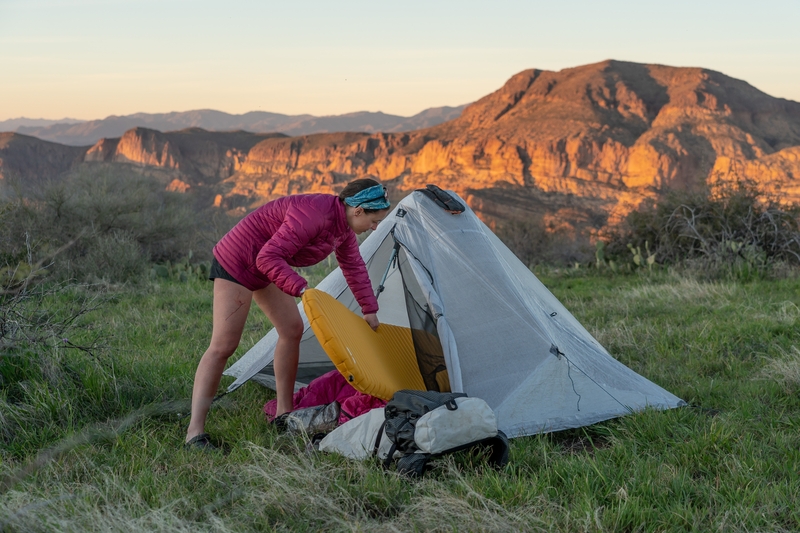 The Dirigo 2 sets up in just a few minutes, is built with ultralight, tough-as-nails Dyneema Composite Fabric (DCF), and has the obsessive details we expect from a company helmed by outdoorsmen actually getting out there and getting their shoes dirty. The issues we typically run into with tarp tents are difficulty pitching, and lack of protection from the elements. With intuitive setup, deep bathtub floors, and spacious vestibules, the Dirigo 2’s elegant design and solid construction seem to have found the sweet spot. And all for a weight penalty of 28 ounces. I haven’t tested this shelter enough to speak to its durability, but I’m fairly confident this will be my primary shelter for the upcoming season, and the DCF11 and DCF8 are hardy ingredients. More on the technical stuff below. Tarp tents are my kryptonite. I’ve long felt I’m not quite smart enough to understand them. But. The Dirigo 2 is ridiculously simple. If I can figure it out, anyone can. Setup time is fast (setup video at the bottom of this post)—it takes me around five minutes start to finish. Stake out the four corners, wedge your trekking poles under the reinforced pockets. Extend the poles, and stake out the vestibules and two guy lines if you feel like it. I slept with the doors open to see the desert sunrise because I’m basic like that. The doors roll all the way open for a full-on view…. highly recommend. Al four walls are angled in, with a steeper pitch to the non-door sides. I mentioned how damn sturdy this thing is, and the fact that everything is slanted has a lot to do with it. The trekking poles will hold the shelter up at an angle, which increases the stability of the shelter, and doesn’t affect headroom too much. Dyneema Composite Fabric (formerly Cuben Fiber) is changing the way we see the material options and construction of durable, lightweight goods. Originally developed for sailing and military use, this is some of the lightest, strongest stuff on the market, and is currently utilized in a variety of products throughout the outdoor industry. The Dirigo 2 is constructed primarily with Dyneema Composite Fabric—the floor of the shelter is DCF11, and the walls / vestibule are DCF8. Both of these weights promise long-term durability, and HMG says you won’t need a footprint with the shelter. This shelter is entirely waterproof, arriving seam-sealed and ready to go. It doesn’t absorb water, so won’t carry extra weight or saturate in precipitation. We experienced a lot of condensation and dew at a lower campsite, and with a few shakes the shelter was entirely dry and ready to be crammed into my pack. Want to nerd out? HMG does a good job explaining DCF technology and construction here. Thru-hikers / long-distance backpackers looking to lower their base weight with a light, durable tarp tent. The footprint can be set up without a ton of space, 28 ounces is very light for a two person tent, and it goes up fast. 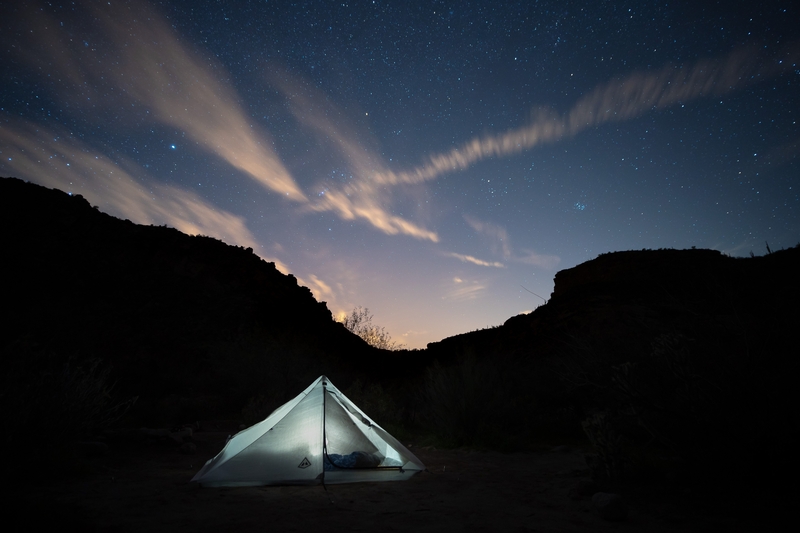 This shelter will appeal to people who want the fully enclosed protection and a bathtub floor of a freestanding tent while still getting the low weight of a tarp tent. After this first test, I’m a huge fan of the Dirigo 2. It’s easier to set up than any tarp tent I’ve personally used, and sturdy as hell. The horizontal spreader bar provides more headspace than a pyramid shelter, and I love not having to crawl around a trekking pole in the middle of the shelter. As with any single-wall shelter, you’ll have to strategize for condensation depending on conditions. We’re predicting the price point will be a stopper for many hikers, as $795 is a steep price to pay for a shelter. 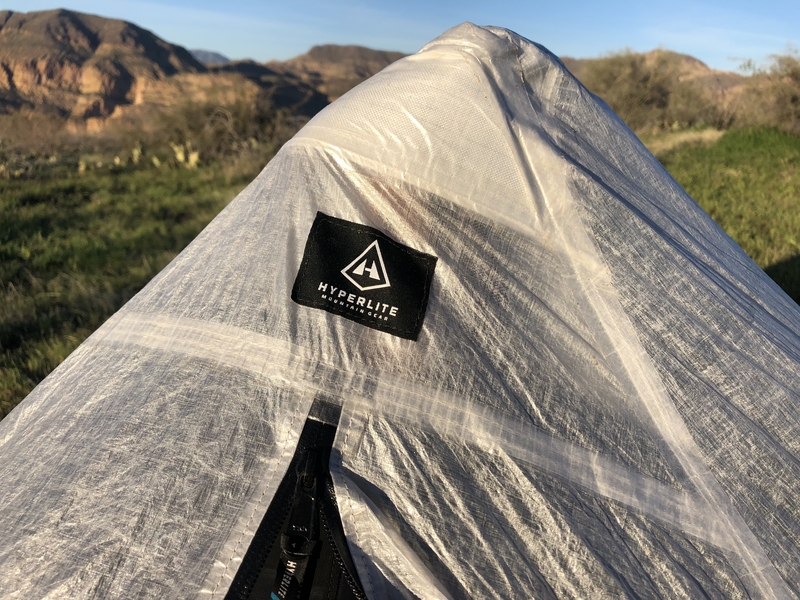 Overall, this is a smartly designed piece of gear from a company focused on intended use with lightweight, streamlined products for backcountry travel. Here’s the setup video from HMG. I’ll film a full review in a few weeks when it’s not -5 here in Montana. I would love to own one of these. The usual reasons keep me from owning one… **opens wallet** Oh, well. *crawls back into single-person sil-nylon tent* 😂 For real, though – great review. Looks solid and lots of good features. OK. So, is it going to get pin holes in it like Dixie’s Duplex did? For 800$ US. Yikes. It could, yes, but there are two main differences between this shelter and the Duplex: the Dirigo’s floor is 1.3oz/yd^2, whereas the Duplex’s floor is 1.0oz/yd^2, and HMG has fantastic customer support (the same cannot be said about ZPacks). I would love to be able to afford a product like this! Maybe as more competition arises, the cost might come down to a reasonable level. As the demonstrated setup shows,would’nt rain come in the sloping doors with the vestible doors rolled up? Yes…. if it’s raining, definitely close the fly. 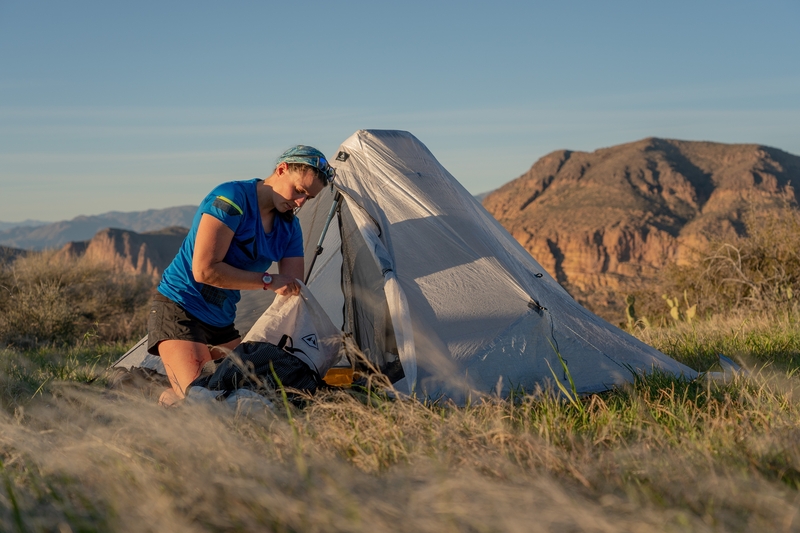 Hi,Maggie.I guess I’m comparing this tent with my Zpacks Duplex.I don’t have to close my doors in a light rain,minimizing condensation and letting the air flow through.